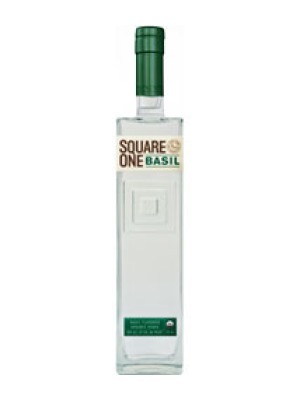 Square One Basil Vodka is a popular Vodka available from Amazon.co.uk in 70cl to buy online. Visit Amazon.co.uk for the best price for 70cl of Square One Basil Vodka or compare prices on our other Vodka products. Garden fresh aroma and delightful herbal earthiness of fresh basil in a captivating organic spirit. Square One Basil flavoured organic vodka is infused with the essences of four basil varieties - Genovese, Thai, Lemon and Sweet - plus a touch of coriander, honeysuckle and lemongrass. All are organic and each basil variety gives its subtle yet distinct influence to the spirit. Fresh basil is known for its light and dark qualities in folklore and sweet and savoury qualities for cooking. As an equally complex clear spirit, Square One Basil brings sweet or savoury balance to culinary-style cocktails. Create new Mediterranean or Asian cuisine inspired elixirs and in the classic Bloody Mary, pour Square One Basil in place of vodka. Where to buy Square One Basil Vodka ? Square One Basil Vodka Supermarkets & Stockists. You can buy Square One Basil Vodka online in most retailers and find it in the Vodka aisle in supermarkets but we found the best deals online for Square One Basil Vodka in Amazon.co.uk, TheDrinkShop, and others. Compare the current price of Square One Basil Vodka in 70cl size in the table of offers below. Simply click on the button to order Square One Basil Vodka online now.